Fitzpatrick Castle Hotel Dublin is a 4 star luxury castle hotel in Dublin. Just a short walk from Killiney Beach, 20 minutes drive from Dublin City and overlooking Dublin Bay, we’re the ideal base for your next stay in Dublin. Boasting a leisure centre with on deck whirlpool spa, Scandinavian wood sauna, a fitness gym and Castle Suites overlooking views of Dublin Bay. They offer tranquillity, breathtaking scenery and old world elegance which mixes seamlessly with unimaginable modern luxury. TheTaste is giving readers the chance to experience two amazing afternoon tea offers from only €40. 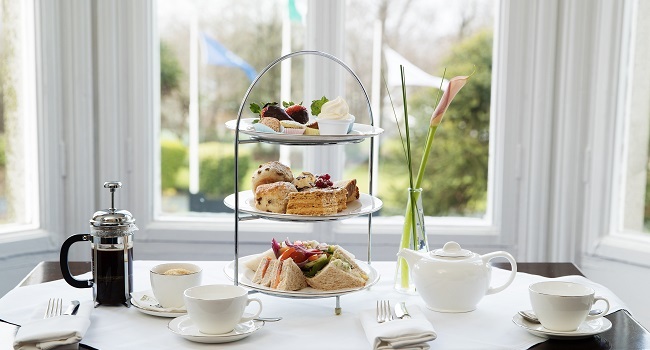 Savour a Luxury Afternoon tea for Two with Glass of bubbles on arrival for only €40. Enjoy a Luxury Afternoon Tea for Two with a glass of bubbles and full access to the Jacuzzi, Steam Room, Sauna and Swimming pool for only €50.